According to economist Stijn Baert, it might sometimes be preferable to stay unemployed and look for a suitable job rather than accept any available job. Economist Stijn Baert had a lecture at the second annual Young Economists’ Meeting organised by the MU Faculty of Economics and Administration. In Belgium, there is next to no discrimination against women on the part of employers, with a single exception, which is hiring for job positions with expected career advancement. When he was a secondary school student, he was good at maths. Both his parents and his teachers thought computer engineering would be a good fit for him and he heeded their advice. After receiving his first degree, however, he decided to go on to study economics. 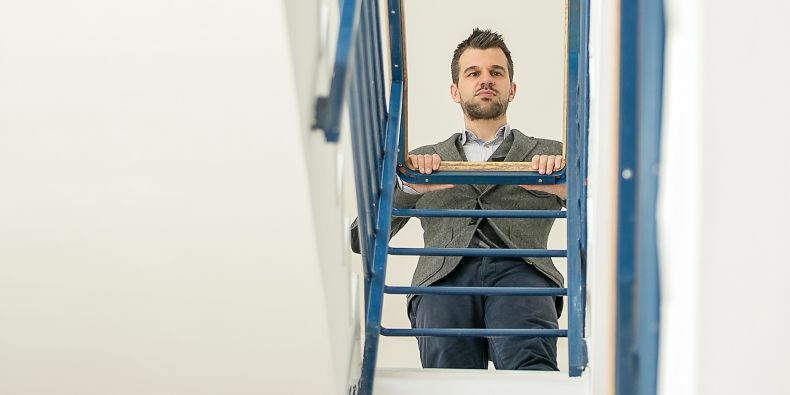 Nowadays, Ghent University graduate Stijn Baert is among the top thirty young economists in the world. His lecture at the MU Faculty of Economics and Administration discussed experimental research in the labour market. “When you are eighteen, it’s hard to decide what you want to do, but computer engineering wasn’t a good choice for me. For example, I had never really been interested in technology news. As a student of economics, I started using maths to solve problems that people have to deal with, and that’s what interests me,” says Baert, explaining why he ended up with degrees in two relatively unrelated fields. Today, he focuses mainly on experimental economics and his areas of interest are the transition from education to employment and discrimination in the labour market. During his presentation at the second annual Young Economists’ Meeting conference organised by the MU Faculty of Economics and Administration, he spoke mainly about a phenomenon called “sticky floors”. One of his studies focused on whether this is related to employers who do not try to attract women to positions that offer career advancement, or whether it is the case that women are less focused on this aspect of their work lives. “We found out that both these factors play a role. In Belgium, there is next to no discrimination against women on the part of employers, with a single exception, which is hiring for job positions with expected career advancement,” says the young economist about the results of the research. However, it is also women themselves who contribute to stagnation in their career development. According to Baert, there are two reasons why women are less interested in these types of jobs: they are afraid that they will later be discriminated against when it comes to the fight for higher positions and they are also more risk-averse, meaning that they apply more often for positions that offer a higher degree of job stability. While Baert has not directly studied what motivates employers to engage in this type of discrimination, he thinks it is related to pregnancy and motherhood. As he says, “A while ago, we did another experiment on discrimination against young women on the basis of their sexual orientation. 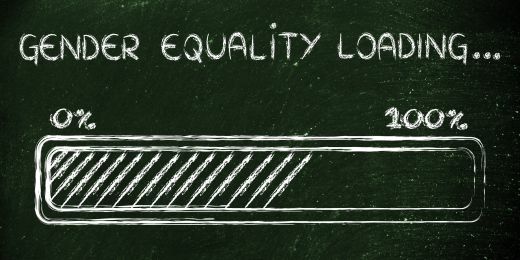 We found that at least Belgian and Swedish employers prefer lesbian women over other women of childbearing age,” adding that the only explanation for this is the fear that women will leave their jobs to bring up their children and that this “punishment for motherhood” on the part of employers could play a role when it comes to positions with career prospects as well. There is no straightforward way to fight this reason for discrimination against women. In Baert’s opinion, greater involvement of men in parental leave and child-rearing would probably be the best solution. Stijn Baert uses an interesting type of experiment to study different types of discrimination. He sends out CVs – usually about a thousand – to actual job offers and studies how successful they are during the selection process. The CVs always contain elements germane to the given experiment. For example, in the research that concerns discrimination involving lesbian women, the CVs included information about sexual orientation. In a similar way, he also studies issues surrounding the transition from education to employment. In one of his experiments, he tried to ascertain whether potential employers are more averse to applicants who have been unemployed for some time or to applicants who have worked in a position that was inappropriately low for their education. “We always sent three CVs in response to a job offer – one of them described a fresh graduate, one a person who has been unemployed for a year and one described someone who worked for a year in a job for which they were overqualified. The result was that the strongest preference was for fresh graduates and the difference between being unemployed and working in a conspicuously low-level position wasn’t that large and depended on the type of job,” he says, adding that it might sometimes be preferable to stay unemployed and look for a suitable job rather than accept any available job. He was also surprised by the result of an experiment that aimed to replicate previous studies showing that people who work during their studies have higher chances of getting a job when they graduate. “The CVs that we sent out did not confirm that part-time jobs during your studies are an advantage. It might be that working students are more ambitious and motivated in their job search, but a non-experimental study cannot check for that,” he explains. His research addresses a wide range of different types of discrimination as well as the factors that have an impact on the process of getting one’s first job. In his view, the current evidence shows that the first decision that you make when entering the job market is crucial for your future career. “Other studies also show that at least in Belgium, it may well happen that if you start your career in a position for which you are overqualified, you get stuck in it and it becomes hard to get a more adequate job or position. Long-term unemployment just after you finish your studies has a similarly negative effect,” says Baert. In his opinion, governments should strike a balance between encouraging people to be active and search for a job quickly and giving them reasonable time to find suitable jobs. Baert himself seems to have found his niche. Besides being a researcher at Ghent University, he also likes to teach. For four consecutive years, he won the “Best Teaching Assistant” award and is active in a number of university committees and panels. He also likes to connect his hobbies with his research. “I am a fan of the Anderlecht football team and together with my colleagues I study football myths. For example, we tried to verify the frequent claim of sports commentators that the best time to score is before the end of the half-time. That’s not true: there is no ‘best time’,” he says with a smile. 22-year-old student of MU Faculty of Economics Tereza Dřímalová about to start innovative business. New advisory body will fight against discrimination and inequality at the university.